Seventy years ago this week, the Allies staged the D-Day invasion, landing some 24,000 troops on the beaches along France's Normandy Coast in one of the major turning points of World War II. What is not widely realized, however, is that the D-Day assault on June 6, 1944, also had an important link to the fate of Europe's Jews—and in particular to the controversy over the Allies' refusal to bomb Auschwitz. Apologists for the Roosevelt administration's failure to bomb the death camps often point to the fact that President Roosevelt and the U.S. military were preoccupied with D-Day. "We are talking about the summer of 1944," Roosevelt Institute president William vanden Heuvel has emphasized. "[Because of] the invasion of Normandy on June 6th... American and our allies were stretched dangerously across western and southern Europe." But that argument mixes apples and oranges. The bombers that would have been used to strike Auschwitz would have had to come from the U.S. Fifteenth Air Force, which was based in Italy. They were the ones closest enough for such a mission—and they had almost nothing to do with the D-Day preparations. Moreover, Allied planes were flying over Auschwitz long before D-Day. 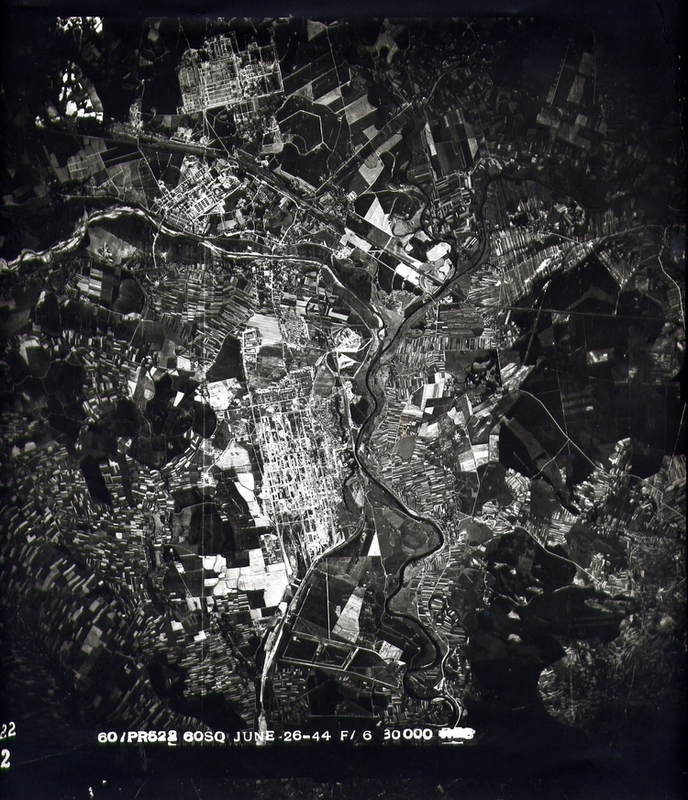 Starting in February 1944—four months before the Normandy landings—Allied photo-recon planes based in southern Italy began carrying out surveillance missions over Auschwitz. This Allied surveillance was focused on a cluster of synthetic oil factories that the Germans set up in that area, some of them within the greater Auschwitz complex and operating on Jewish slave labor. Several of the plants were situated less than five miles from the gas chambers and crematoria. On May 12, British bombers carried out the first raid in what was to become known as "the oil war." The oil plants represented a high-priority military target for the Allies because the Germans desperately needed them to sustain the Axis war effort. It was in part because of their dwindling oil supplies that the German air force, the Luftwaffe, was unable to take part in the defense of the Normandy region when the Allies landed. "During the entire first day of the invasion, enemy opposition in the air, fighter or bomber, was next to nil," U.S. air force chief General Carl Spaatz noted in a postwar interview. That was a major reason why the D-Day invasion succeeded, and why less than 4,000 Allied soldiers lost their lives at Normandy. Spaatz directed the Allies' "oil war" offensive. In the summer of 1944, he clashed with Chief of Staff General Dwight Eisenhower, after Eisenhower repeatedly diverted bombers from the oil attacks to the Normandy region, to support the Allied advances following D-Day. Spaatz was furious over the diversions and ultimately threatened to resign, forcing Eisenhower to relent. Ironically, at the very same time Eisenhower and Spaatz were arguing about diverting planes from the oil war, the "diversion" argument became the centerpiece in the controversy over whether or not the U.S. should bomb Auschwitz. American Jewish leaders who urged the Roosevelt administration to bomb the death camp or the railways leading to it were told by Assistant Secretary of War John McCloy that such bombings would be "impracticable." McCloy claimed that the War Department conducted a "study" of the feasibility of the proposal and concluded it would require "diversion" of U.S. bombers from battle zones elsewhere in Europe. In fact, no such study was conducted and, as the War Department knew, American and British planes were regularly bombing the Auschwitz area as part of the oil war. "In other words, the bombers were already there—the claim that they would have be 'diverted' from the war effort was false," Stuart Erdheim, director of "They Looked Away," a documentary film about the question of bombing Auschwitz, told JNS.org. "Spaatz himself was fighting with Eisenhower to keep American bombers in the Auschwitz area to target the oil factories—and Spaatz won that argument." The irony is painful: while the Roosevelt administration was claiming it could not "divert" planes to go to Auschwitz, the only actual diversion was when Eisenhower's diverted American planes away from Auschwitz. Elie Wiesel, then a 16 year-old slave laborer in Auschwitz, was an eyewitness to the American bombings of the oil factories next to Auschwitz and wrote about what he saw in his best-selling book, "Night." "[I]f a bomb had fallen on the blocks [the prisoners' barracks], it alone would have claimed hundreds of victims on the spot. But we were no longer afraid of death; at any rate, not of that death," Wiesel wrote. "Every bomb that exploded filled us with joy and gave us new confidence in life. The raid lasted over an hour. If it could only have lasted ten times ten hours!" I asked her why her husband -- whom Jews revered then as much as they lionize President Barack Obama now -- never ordered Allied pilots to bomb the railroad tracks leading to and from the Nazi death camps. I speculated that had he done so, he would have slowed the slaughter. "I constantly raised the matter with the President, as did British Prime Minister Winston Churchill, both in his cables from London and when he was our guest at the White House. "My husband's answer was always the same: 'Later." He would always give us the same lecture: 'Winning the war comes first, of course, and bombing those railroad tracks are not a top air force priority. But the war is not the only thing on my mind. I also have to deal with domestic affairs. To get things done, I must have the support of the committee chairmen in the Senate and the House of Representatives. "'Most of these men are Southerners and many of them are anti-Semites. They do not like Jews and have made it clear that they don't want any more of them let into this country. That's the reason I haven't pushed for the admission of larger numbers of Jews. "The only Jewish member of Congress who is fighting me is Brooklyn's Representative Emanuel Celler. Representative Sol Bloom, who is Jewish and chairman of the House Foreign Affairs Committee, goes along with me on this. "'But I promise you, Eleanor, I promise you, Winston, that when the House and Senate pass the legislation that I want and need, and the war is closer to a victorious end, I shall order the bombing of those railway tracks. You have my word on it." My second memory was of a memo that Treasury officials, in an effort to counter the endemic anti-Semitism of the State Department, wrote in 1943. Entitled "The Acquiescence of this Government in the Murder of the Jews," it said that "Unless remedial steps of a drastic nature are taken, and taken immediately, no effective action will be taken by this government to prevent the complete extermination of the Jews in German controlled Europe, and that this Government will have to share for all time responsibility for this extermination." 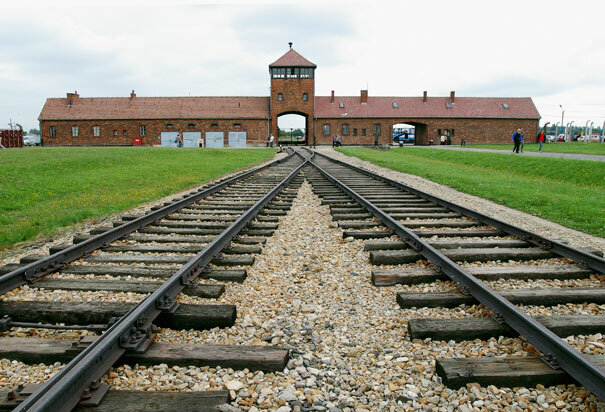 http://www.jns.org/latest-articles/2014/6/3/d-day-and-the-bombing-of-auschwitz#.U5A0aSgVedp=. The first photo above was not part of the original article.